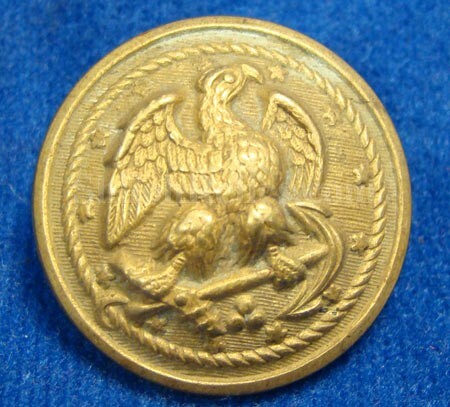 This is a beautiful excavated coat size Civil War navy button. This one has the droop wing eagle on the front and she is perched on the anchor. 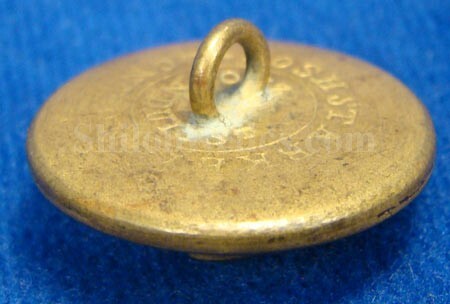 It has the stars on the edge of the button with an excellent amount of the original gold gilding remaining on the face. The original back and shank are intact. 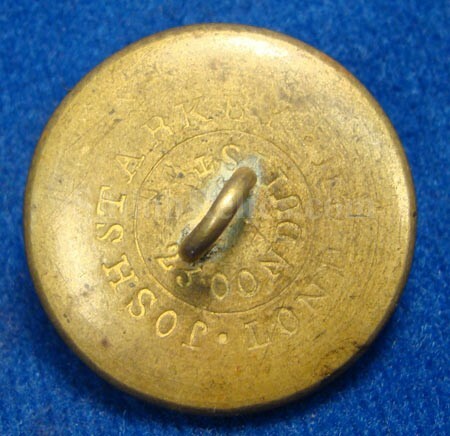 On the back of the button it has the correct Civil War era maker’s mark of "JOSH STARKEY/ LONDON / 23 CONDUIT ST”. This is the style listed as NA113 in Albert’s button book and NA230A18 in Tice’s button book. This is a superb dug original Civil War navy uniform button and it isn't often that you see these in excavated condition.